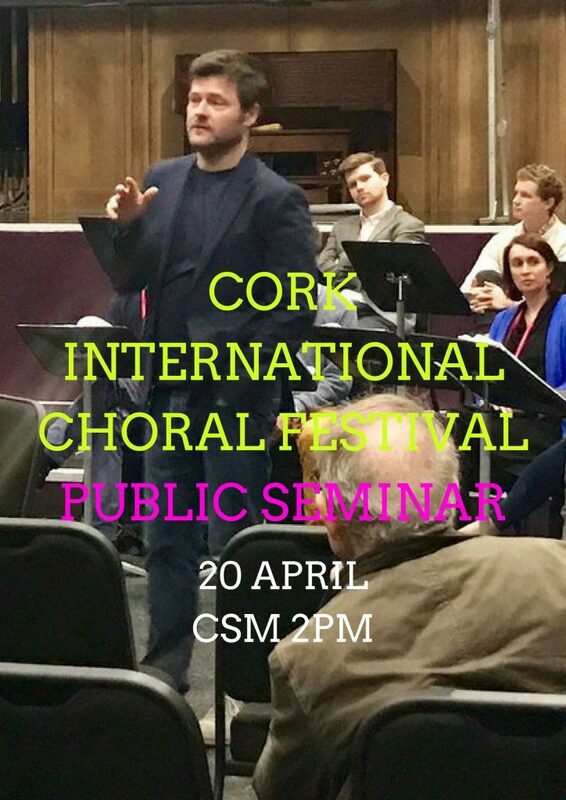 Chamber Choir Ireland will once again return to the Cork International Choral Festival as Choir-in-Residence, offering an extended seminar session on new choral music and its performance as part of the festival’s annual choral symposium. This year’s seminar, led by Artistic Director Paul Hillier with Chamber Choir Ireland, will offer attendees a relevant and engaging approach to how texts are selected, the related process of composing music appropriate to the text, and the input of the singers as to its accessibility. The main focus of the discussion will be the jointly commissioned new work ‘texts by thomas bernhard’ by Andrew Hamilton, and the winner of this year’s Seán Ó Riada Composition Competition Donal Sarsfield and his piece ‘A Grain in the Balance’ together with a performance reading of runner-up Kenneth Edge with ‘When You are Old’.